The new Kverneland 6325 full roller fixed chamber baler is designed for intensive professional use through long working days where high efficiency is required. 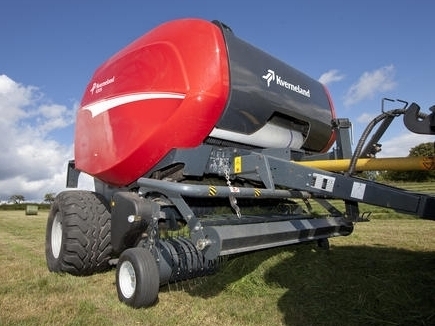 The Kverneland 6325 is developed to perform well in heavy silage conditions. A new bale chamber design with 17 ribbed rollers ensures consistently high density bale formation in all conditions. Simple and Intuitive control with the Focus terminal.